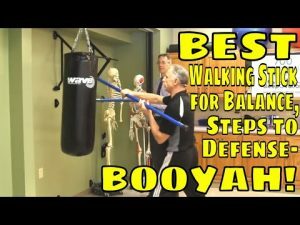 “Famous” Physical Therapists Bob Schrupp and Brad Heineck present: Best Walking Stick for Balance, Steps to Self Defense- BOOYAH! The winner to be chosen on February 16,, 2019. Remember if you order a mattress now AND you end up winning a mattress SleepOvation will reimburse your purchase. No need to hold off on purchasing Bob and Brad’s favorite mattress. ALERT: SleepOvation is offering a discount on all their mattresses to Bob and Brad's viewers.